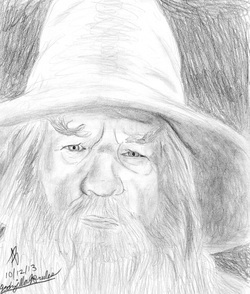 I decided to do a portrait of Ian McKellen as Gandalf from the Lord of the Rings Trilogy. I believe that I captured his likeness, and that his beard came out great. The only thing I need to fix on my later portraits is to make sure they are centered on the paper.